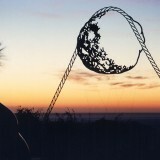 New Zealand sculptor Neil Dawson creates large-scale pieces crafted from aluminum and steel. 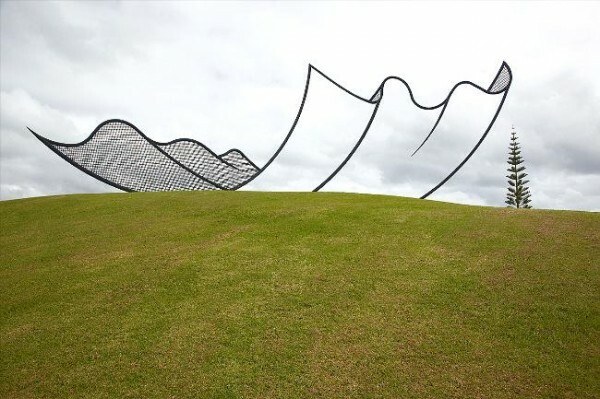 His sculpture titled ‘Horizons’ shown below resembles a sheet of cloth or paper gently floating to the ground. In reality, it is made of welded steel and measures an imposing 15m high and 36m long. The tree in the background of this photograph gives some perspective of the actual size of this sculpture.